What is the D.O.V.E.S. Ministry? 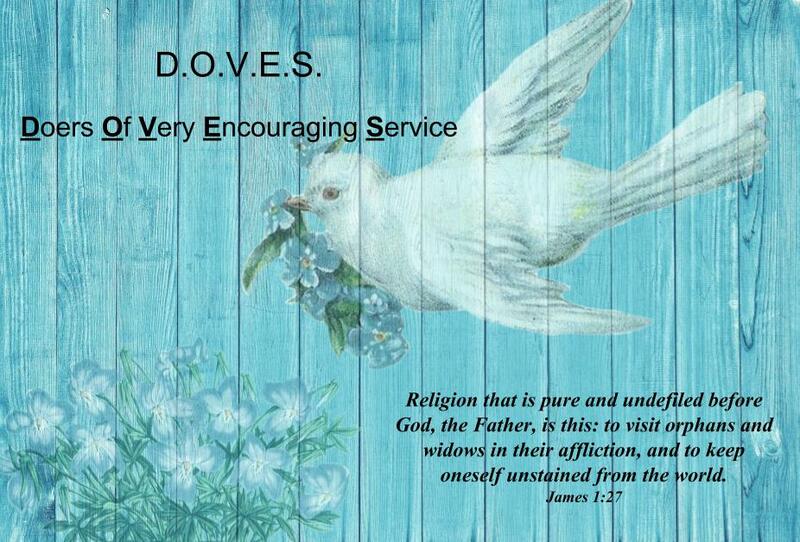 The DOVES is a group of ladies that choose a widow, widower or single senior citizen member to call, visit, send cards to in order to build a relationship with them and offer love and support to them.